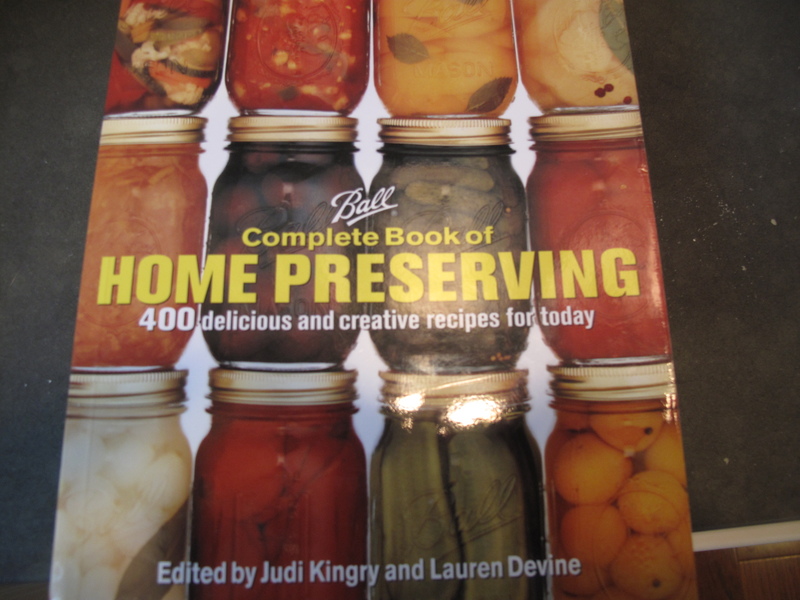 Getting desperate for blueberry uses, I turned to the index of the trusty Bell Complete Book of Home Preserving that Alicia mentioned in the last post. Blueberry Bonanza? Spreadable Blueberries? 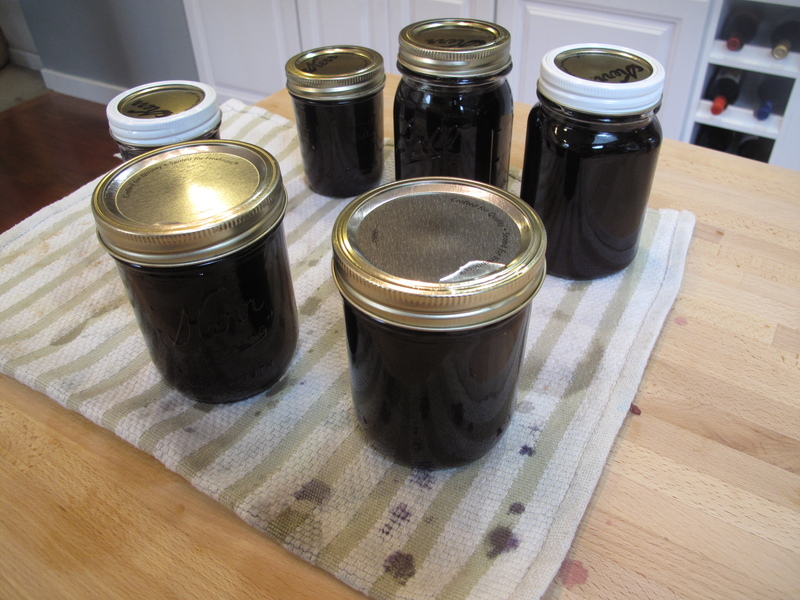 Blueberry Nectarine Freezer Jam? I opted for the Blueberry-Basil Vinegar. 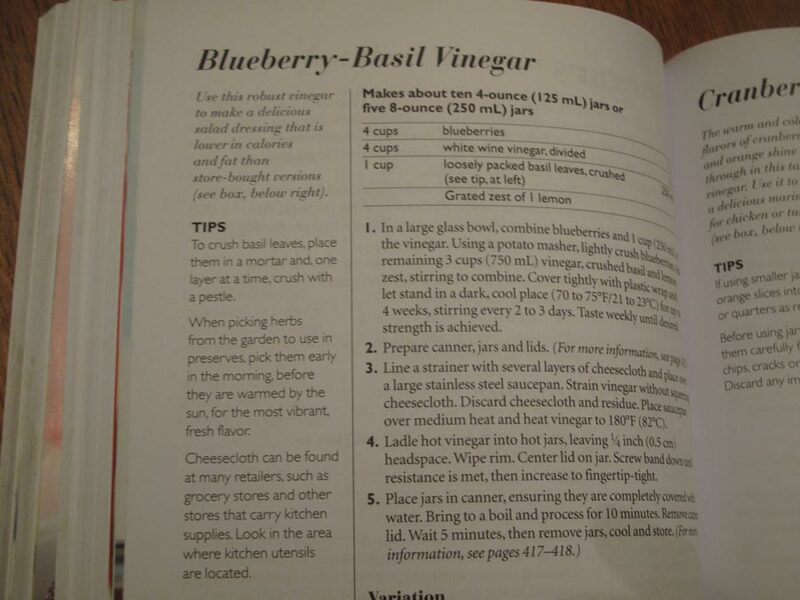 Just mash together equal parts white wine vinegar and fresh blueberries, add some basil, and put it in a jar for a couple weeks. The jury is still out on whether this is a good idea… Alicia is looking at the fruit flies buzzing around it disapprovingly. In addition to tomatoes we picked blueberries as a family in Yakima. It was the end of the season and the field wasn’t really even open, but one of the workers let us pick after warning us there was not much left. We were impressed by his sense of “not much” since we had no problem filling two large buckets in about 30 minutes. That doesn’t even include the dozens eaten by our kids. The best part was that he only charged us $1 a pound. 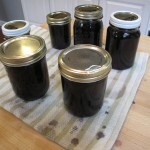 We picked 10 lbs and have been eating them steadily, however it was clear we were going to need to do some preserving. We approach canning for a practical standpoint. Whatever will attract the most fruit flies is attacked first, hence the tomatoes canned on Sunday. Blueberries are the next priority. Yesterday I made a blueberry pie (with lard crust) and today it was syrup. We are so overloaded with jams and jellies I am having to try different ideas for fruits. Pancakes are a regular breakfast food around here so I figured syrup would get used up fairly quickly (like before next summer). It’s also pretty easy. 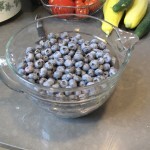 Just crush and boil blueberries, run them through a food mill and then boil again with sugar water. 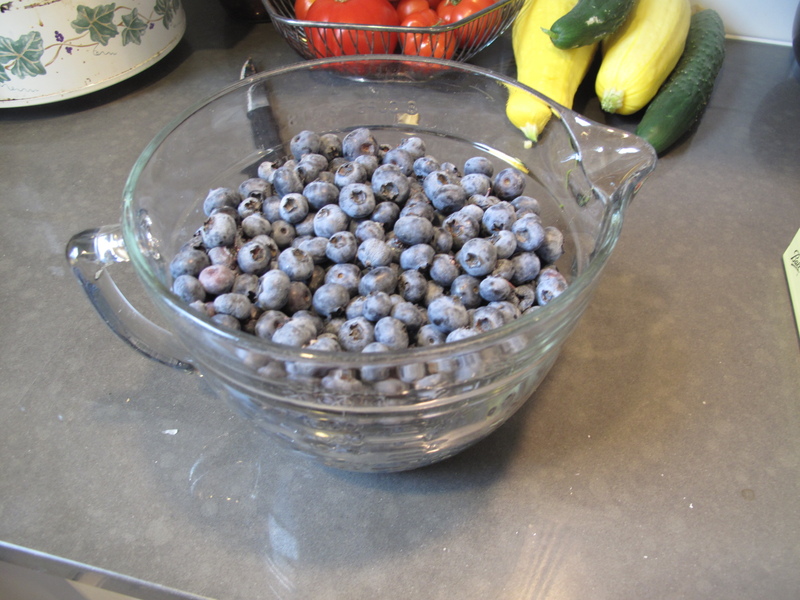 I used 8 cups of blueberries and got 5 pints worth, which seems pretty good. 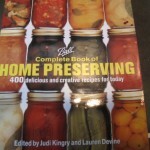 I used the proportions in the Ball canning book which I recommend. We got it from the library last season and I added it to my Christmas list soon after. Its a great book for coming up with ideas and it has all the basic info you’ll ever need as well. 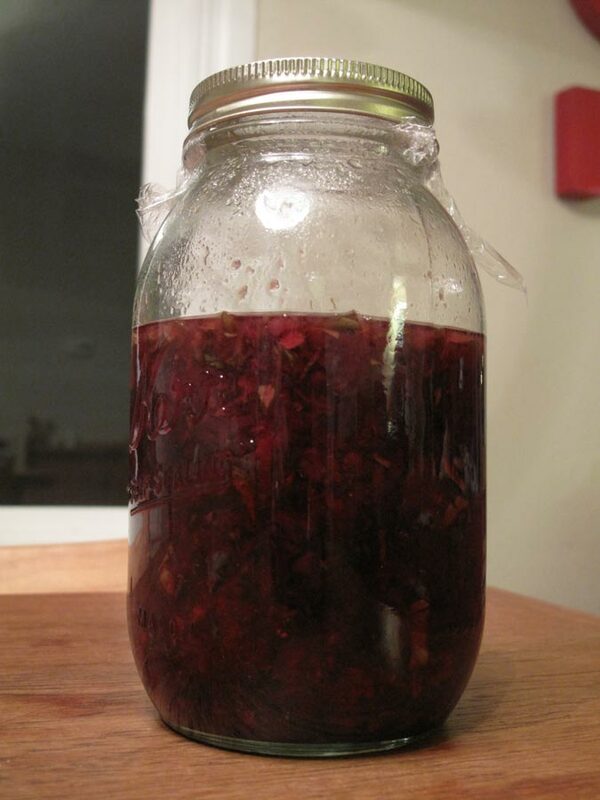 Tomorrow I may make blueberry juice or I might just freeze the rest for winter cobblers.